Facebook pages can be ‘memorialized’ (seen below) and lately there has been a malfunction that has memorialized a number of accounts seemingly randomly. Don’t panic! Mark Zuckerberg is not really dead and your recently memorialized Facebook friends may also be alive (or not). So call them… with a phone. Maybe even visit them in person. read more here: at techcrunch. It’s a common Windows 10 problem. 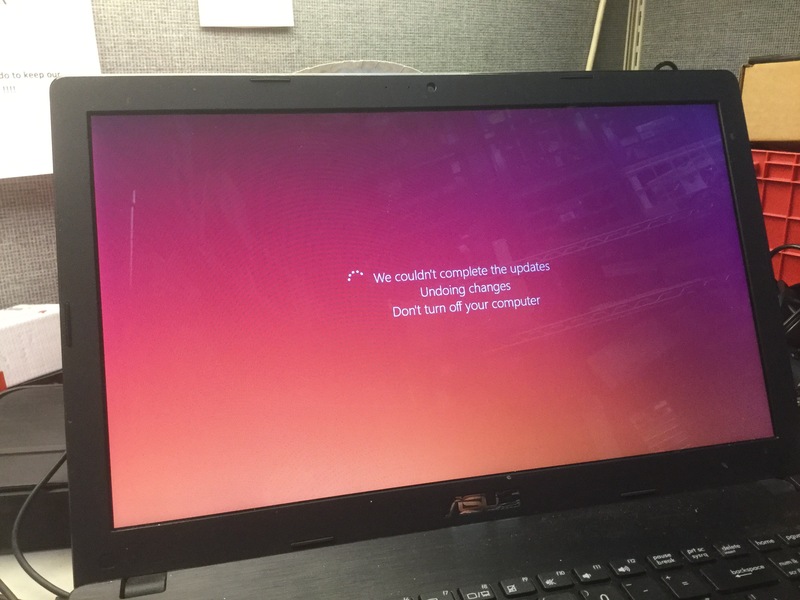 Oftentimes, when your computer finishes booting, you can try applying just 2 or 3 of the updates at a time before attempting to install the entire lot of remaining updates. If this doesn’t work — call 229-883-3996! Bleachbit has been mischaracterized in the news as being an expensive program. It isn’t. 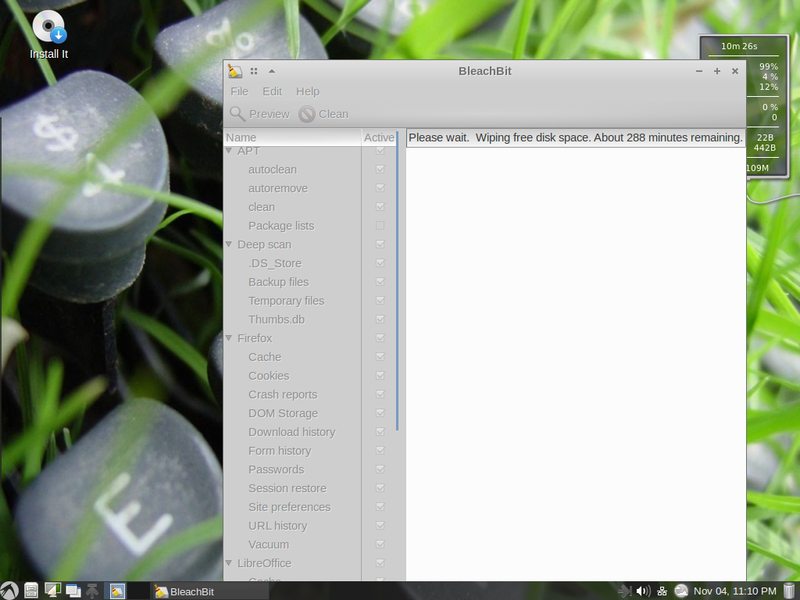 It’s freely available from http://www.bleachbit.org and you may find it on some live Linux dvds. You can download both Windows and Linux versions. You can use it to securely wipe an entire hard drive (as I did in the photo below) or just use it in a way similar to c-cleaner to delete temporary files. It’s a decent program and you don’t have to be involved in nefarious activities to use it. Once your computer system is virus free and has sufficient memory, what is the next upgrade? Should I buy a new computer with the latest Microsoft OS: Windows 10? NO! What’s wrong with you? Windows 10? Trust me. 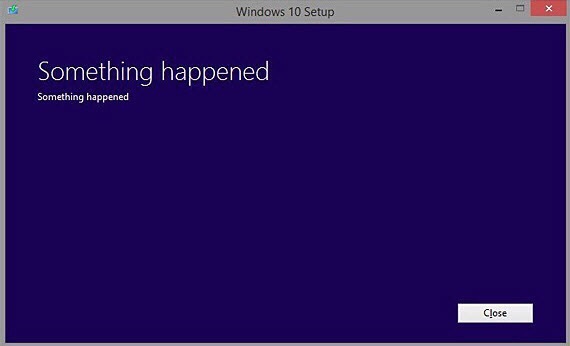 Something happened to Microsoft. Stick with your old Windows 7. If you have a Mac, upgrade to macOS Sierra. If you’re running Linux, congratulations. You’re a free thinker, unencumbered by societal norms. The next upgrade for you is to replace your conventional hard drive with a solid state drive. You may find that your computer will boot twice as fast with an SSD. 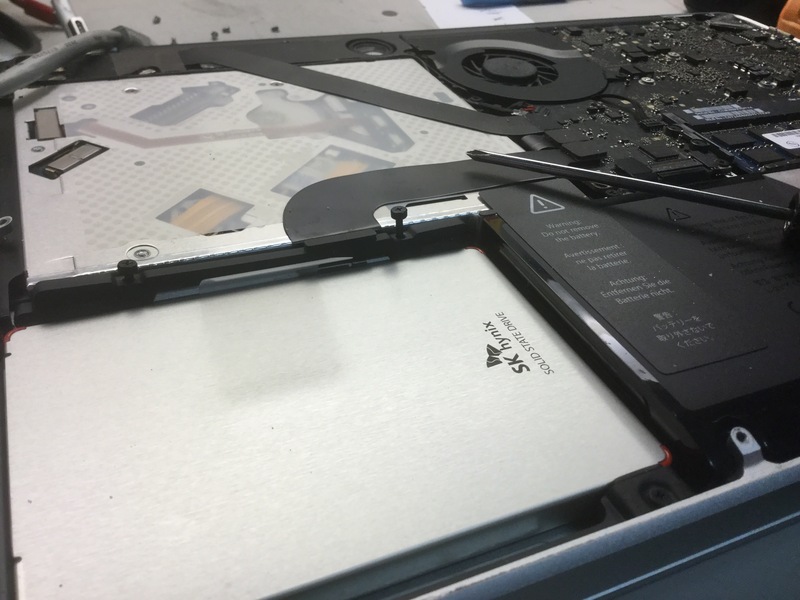 The fact that a solid state drive has no moving parts makes it less likely that you will lose your important data when your laptop falls off the coffee table. This doesn’t mean you shouldn’t make backups. A solid state drive can still fail. It’s just that in terms of speed, a solid state drive is probably the best way to do things twice as fast for a reasonable upgrade price.